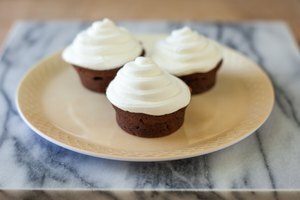 Cupcakes are an elegant and simple dessert. They are a popular option for casual entertaining, bridal showers and even weddings. Cupcakes are excellent for events and celebrations because they can be made to suit any number of specific tastes and special dietary needs. 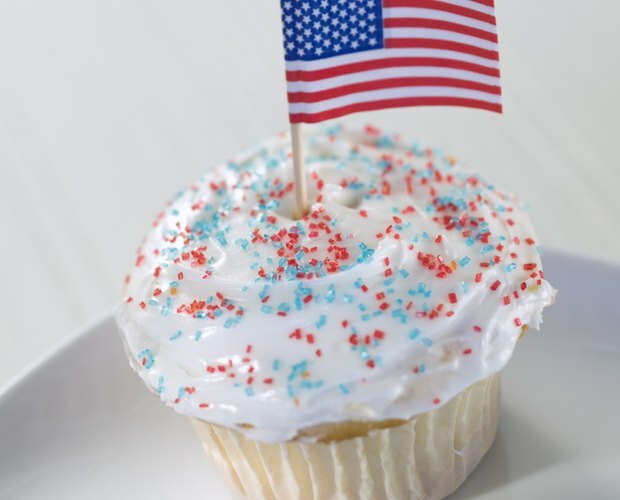 Amateur cupcake bakers may experience difficulties preventing discoloration on cupcake liners resulting from burning. 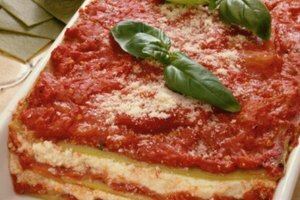 Experiment with different methods to produce a visually appealing and delicious final product. 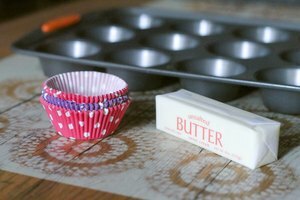 Wipe out each section of the cupcake tin with a clean, dry paper towel before placing the liners in. Discoloration and burnt markings on the liners can be caused by extra grease. Ensure that each section of the tin is free of any oil or crumbs that could cause liners to burn. Exercise extreme caution when filling the paper liners with cupcake batter for baking. Unwanted spills and drips can result in burnt pieces of batter on the outside part of the liners. Carefully fill the liners individually, avoiding overfilling. Clean any drippings immediately with a clean paper towel. Place two liners in each section of the cupcake pan before filling to insulate and prevent burning. Mask the unattractive appearance of burnt liners on baked cupcakes by slipping a second liner on after baking. Covering the burnt liner quickly recreates the appearance of fresh, attractive cupcake papers. Ensure the liners are not burnt from being overheated. Invest in an internal oven thermometer and insure the oven does not overheat. 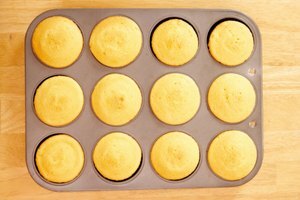 Avoid baking multiple pans of cupcakes to avoid overheating. Also avoid overheating by placing a single tray of cupcakes in the direct center of the oven. 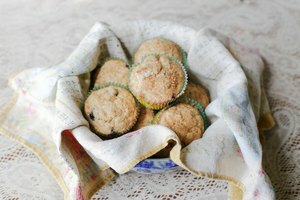 Baking SOS: Why Do Cupcake Liners Always Look Dark & Brown After Baking?